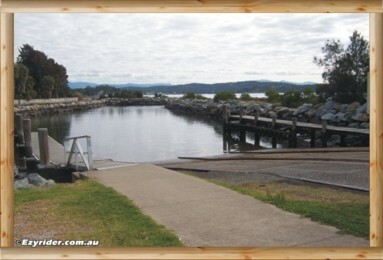 ﻿ Batemans Bay Catalina Boat Ramp - Pictures with Information. 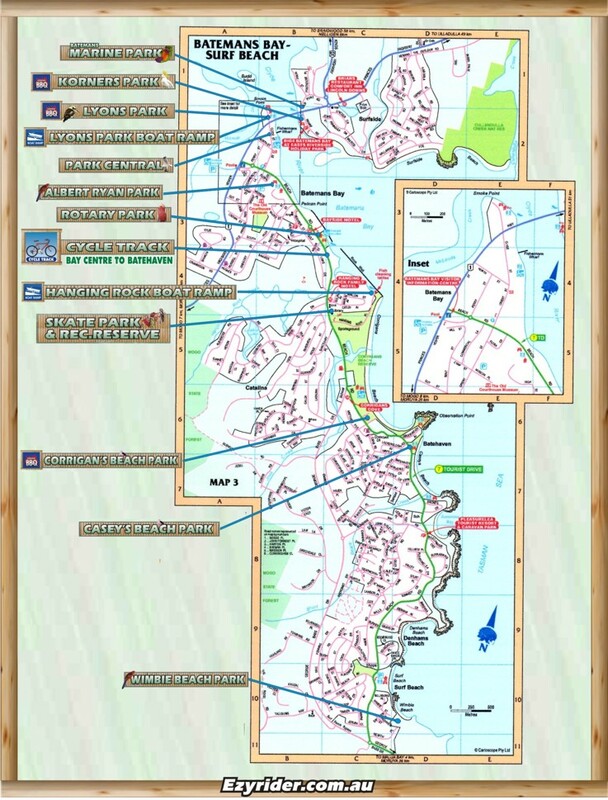 The services listed below are at the Hanging Rock Recreation Reserve and the Boat Ramp. 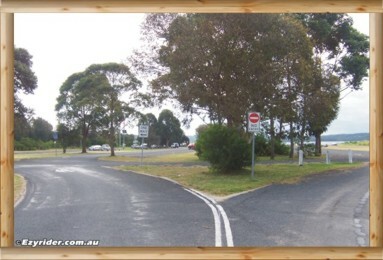 Picture directions are below .... followed by pictures at the boat ramp. 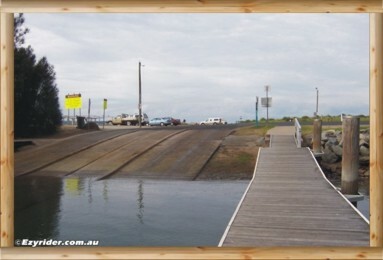 Just past the traffic lights on Beach Road is the Skate Park/Ramp on your left, and the entrance to Catalina Boat Ramp. See also map at bottom of this page. 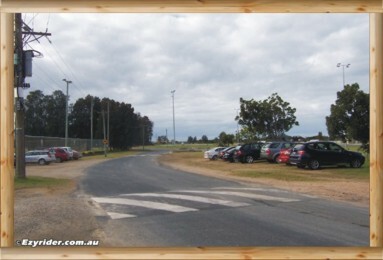 Continue along that road with the tennis courts on your left and the sports ovals on your right. Moving through the trees. Taking a slight left hand bend. 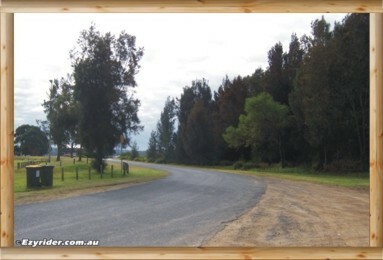 Until you reach a fork in the road, where the trailer parking is in the background. 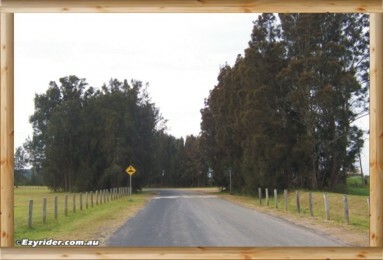 Continue around to your left to reach the boat ramp. 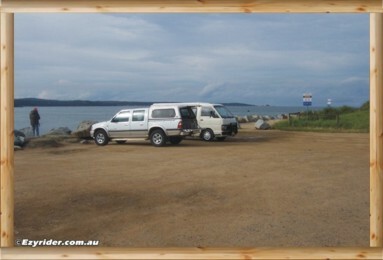 Arriving at the water with the boat ramp just to your left. 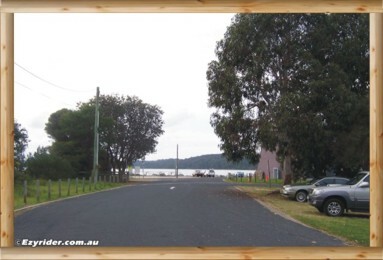 On the right hand side of the boat ramp is a car park area and fishing spots - even along the walkway behind the cars to the point. 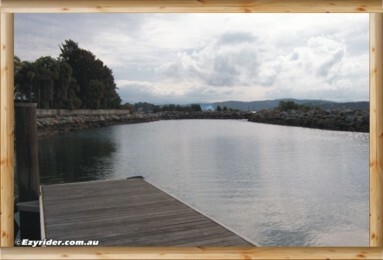 The boat ramp facing west. 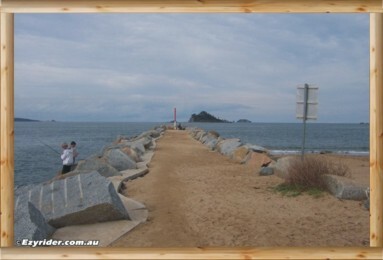 And looking up the boat ramp on the jetty. Another view west out to the river and beyond. 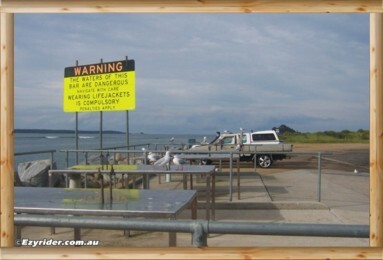 There are a number of fish cleaning tables near the boat ramp. 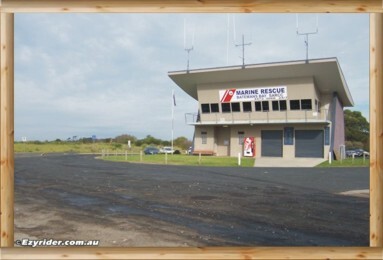 The Marine Rescue is located at the boat ramp. 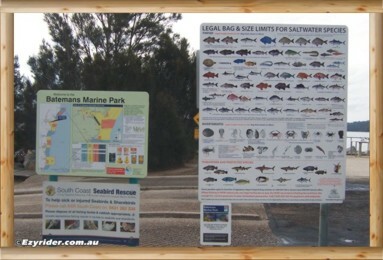 Information signs at the boat ramp. 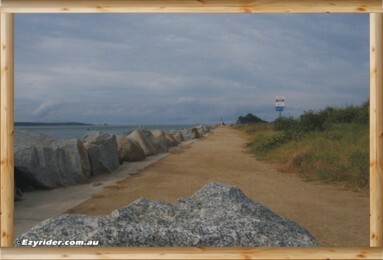 There are fishing spots along the foreshore to the point with Corrigans Beach on the right.